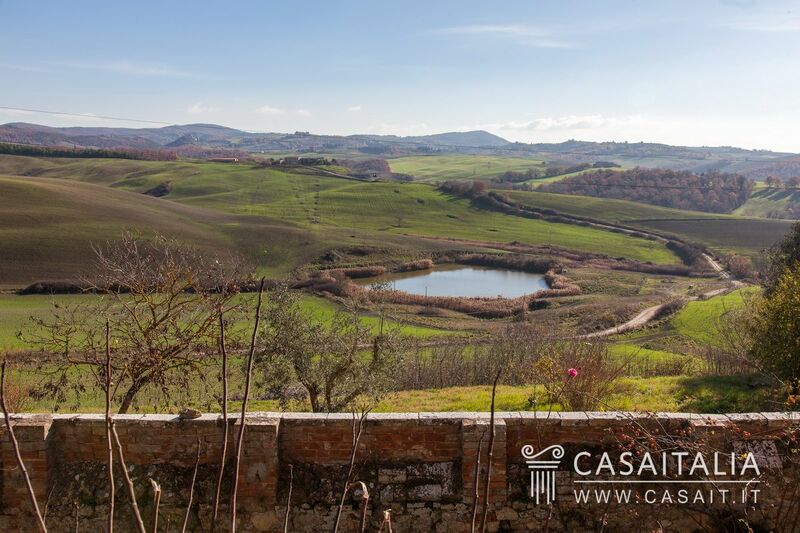 The Crete Senesi winery takes its name from the picturesque and attractive place in which it is situated, surrounded by rolling hills for which this landscape is widely believed to be the most beautiful in Tuscany. 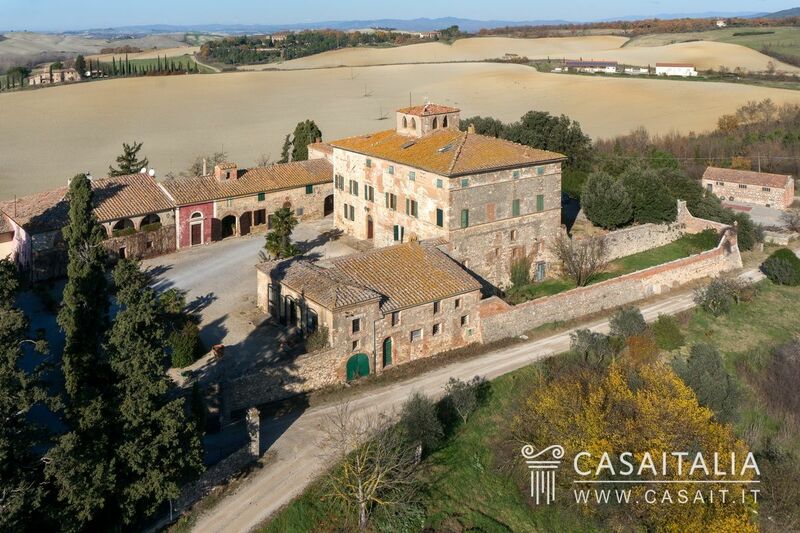 The countryside, so beautiful that it has been immortalised by photographers from around the world, is also interesting from a historical point of view due to its towers, castles, abbeys and little hamlets. 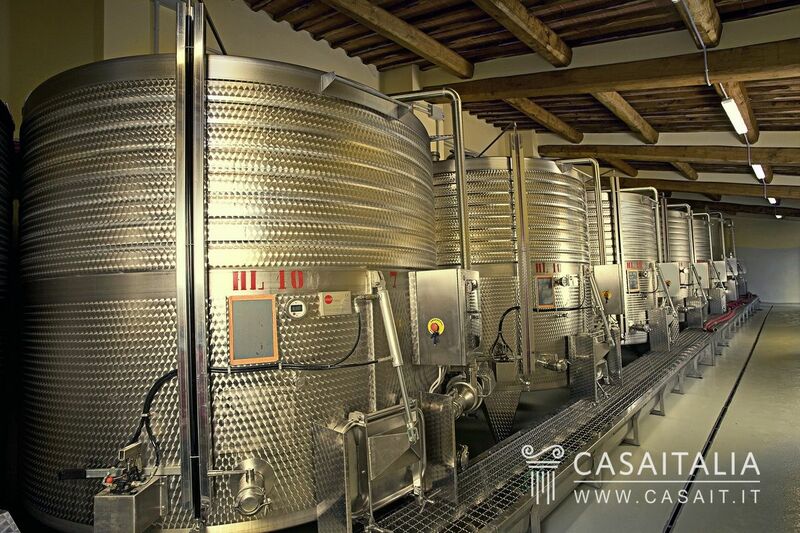 The farm comprises 3 separate groups of buildings, for a total surface area of 8.280 sq.m, surrounded by 300 ha of land, of which 14 is fertile DOC vineyard. 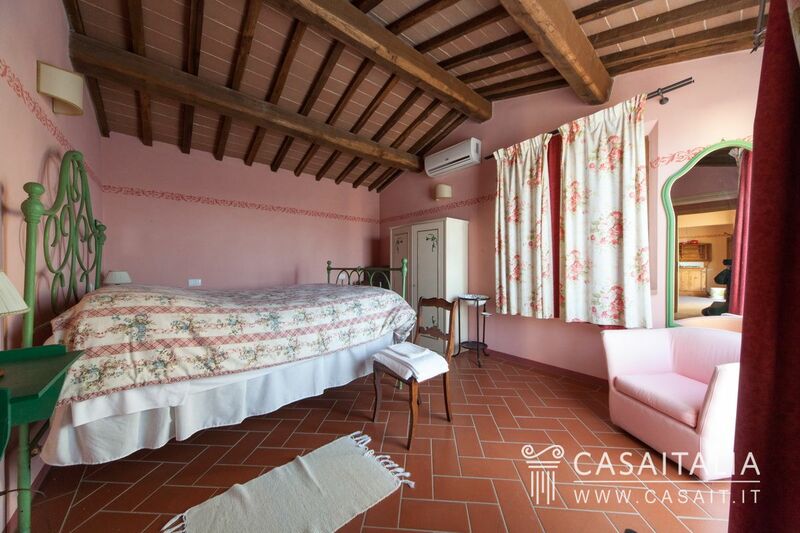 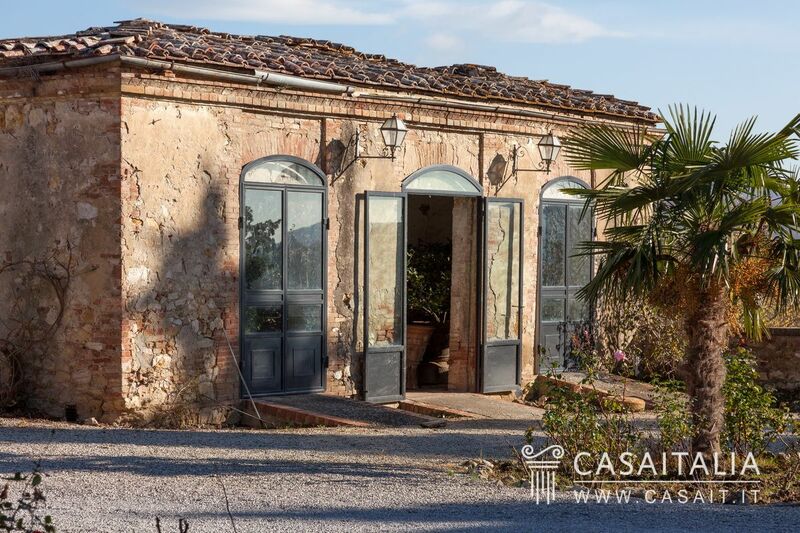 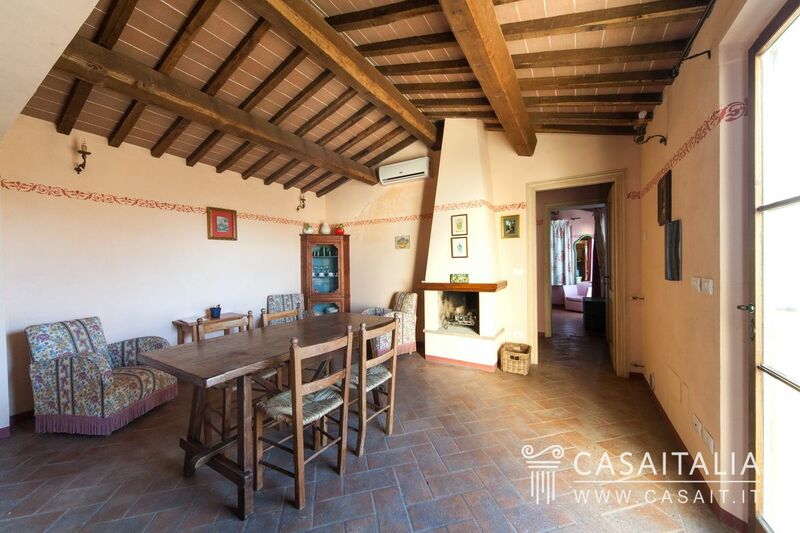 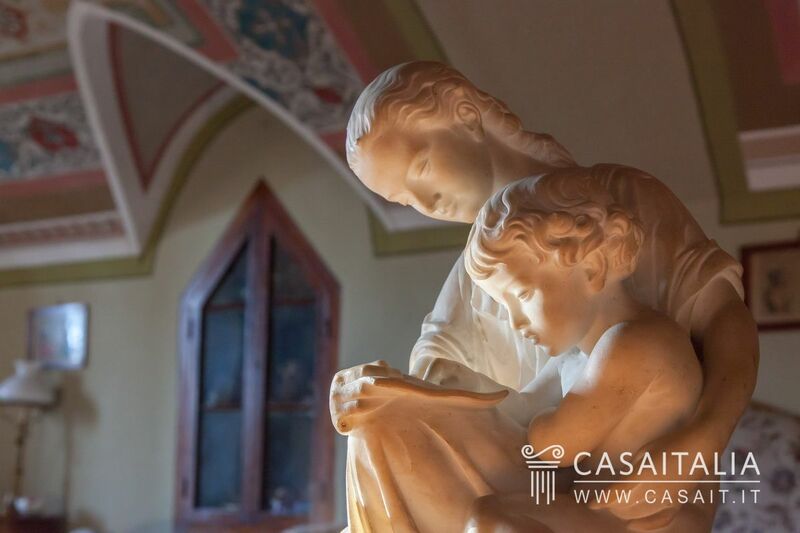 The property is located in the province of Siena, which is 41 km away, and around 5 km from the nearest populated area, an old medieval hamlet between Val d’Asso and Val di Chiana where it is possible to buy daily necessities. 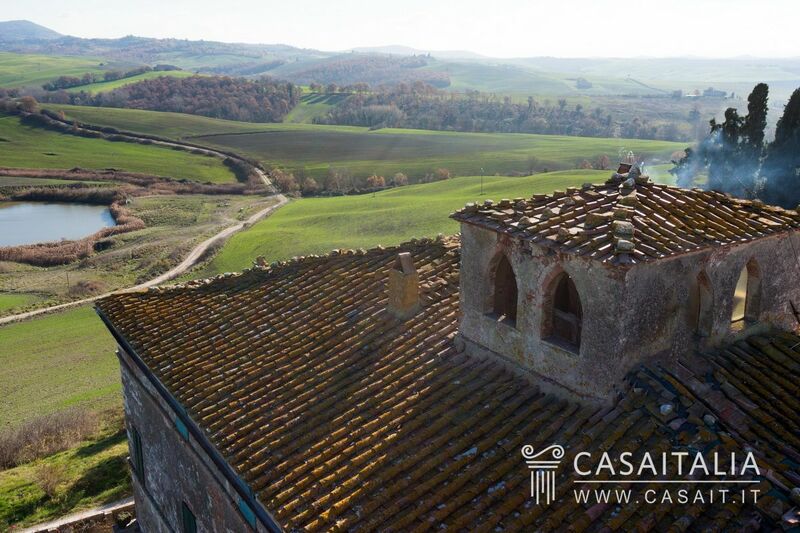 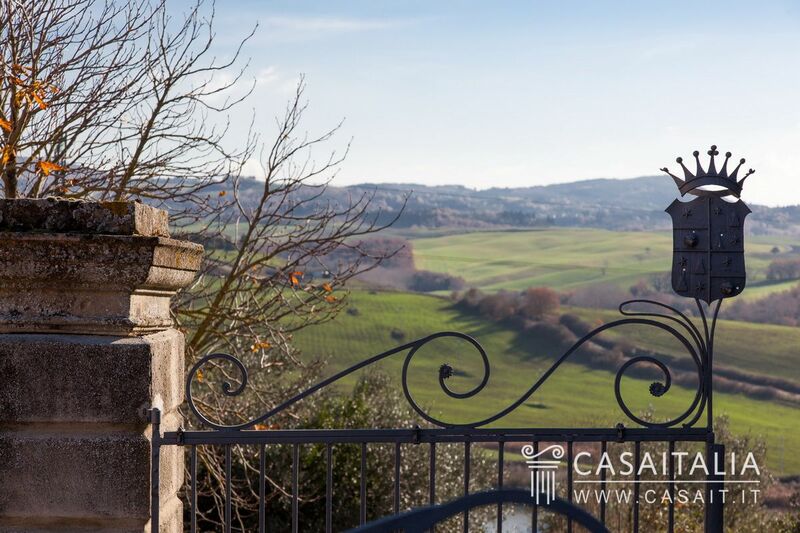 The location is also perfect and central in relation to the other important towns in Tuscany: San Giovanni d’Asso (19 km) and Pienza (23 km) are only 20 minutes away, while Montepulciano (26 km), San Quirico d’Orcia (29 km) and Montalcino (30 km) are a little over half an hour by car. 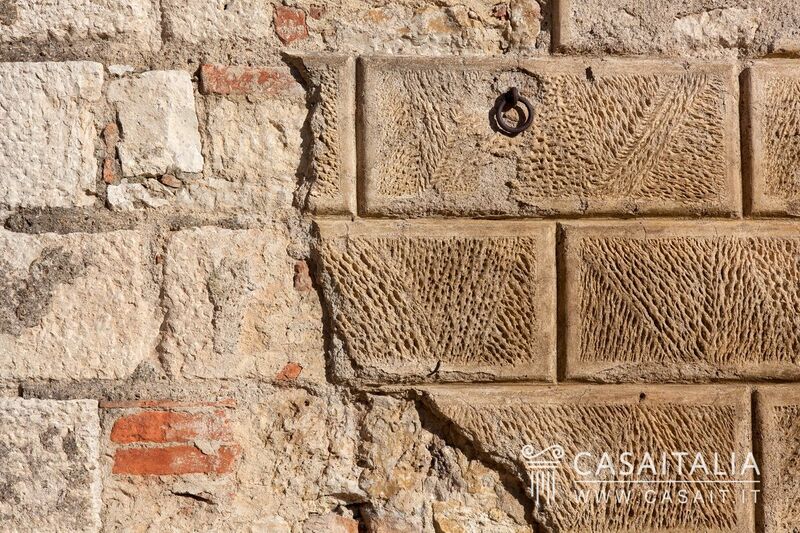 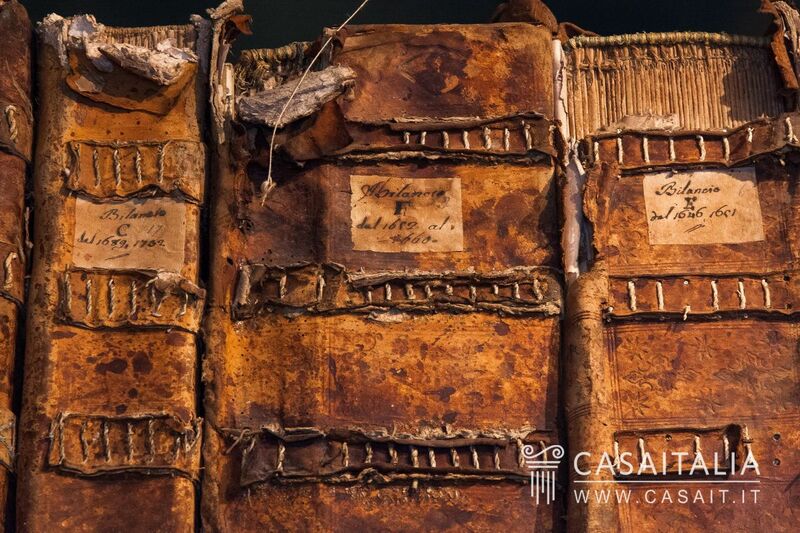 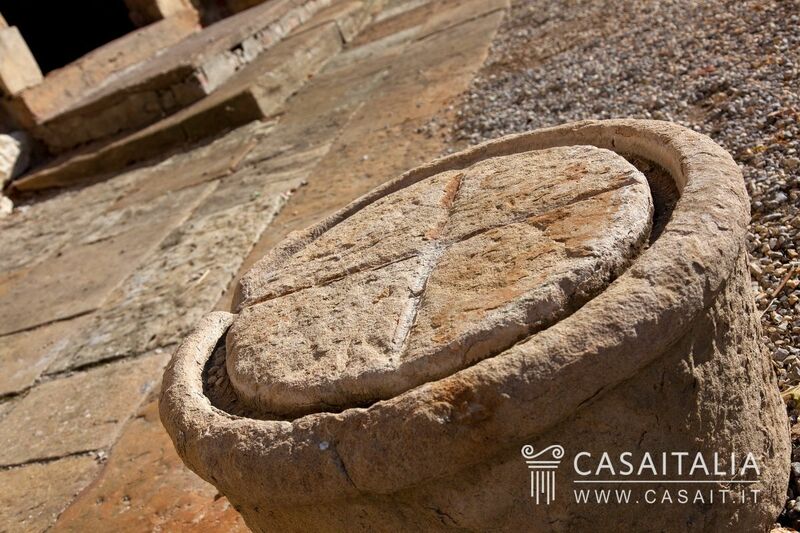 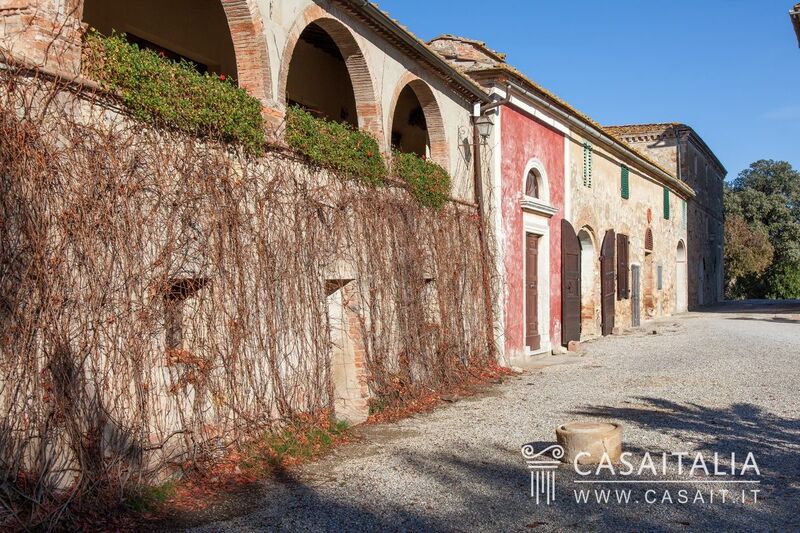 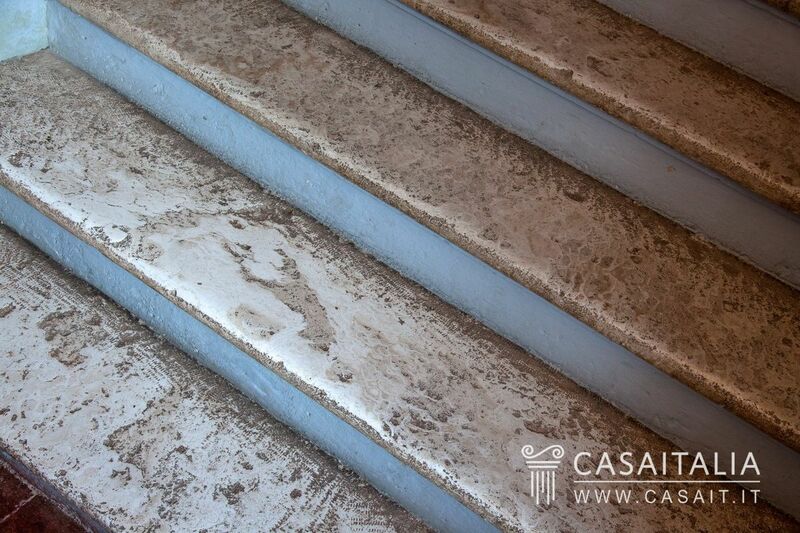 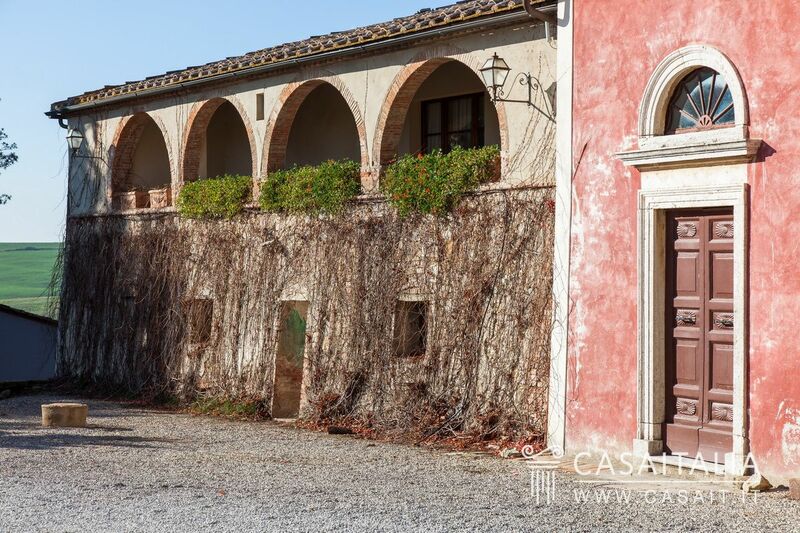 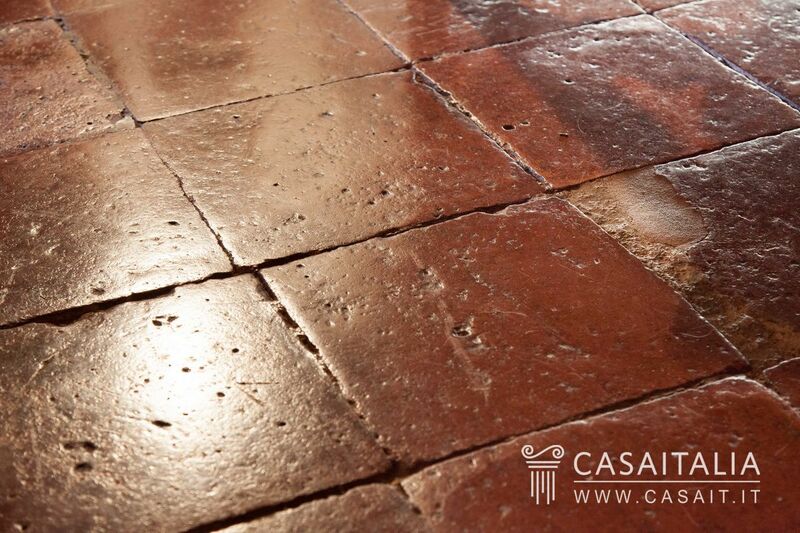 The property comprises 3 groups of separate buildings for a total surface area of around 7.680 sq.m, to which 600 cubic meters can be added in relation to a ruin, for which a restoration permit has been obtained. 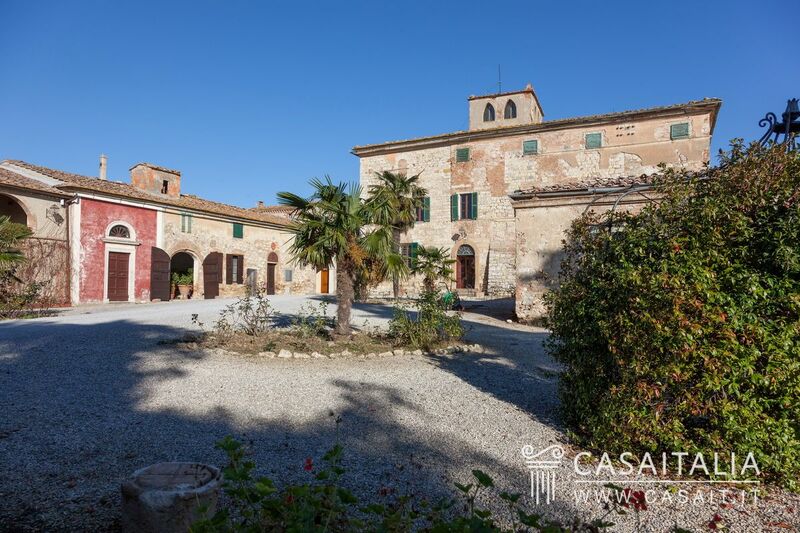 The main villa, which has ancient origins as the seat of a noble family, and a place of prayer for a Saint who was part of that family. 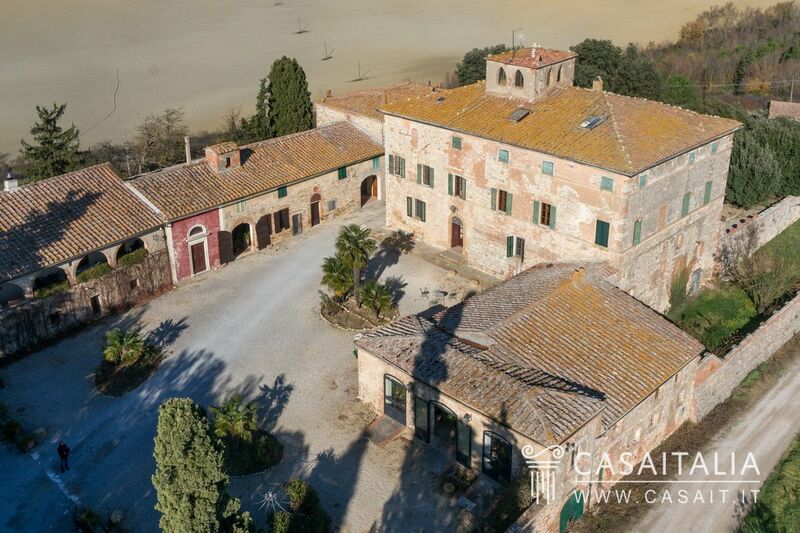 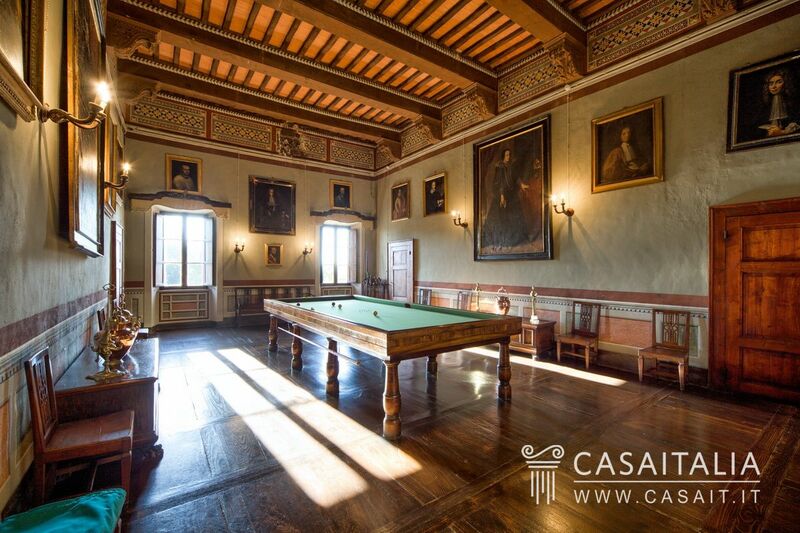 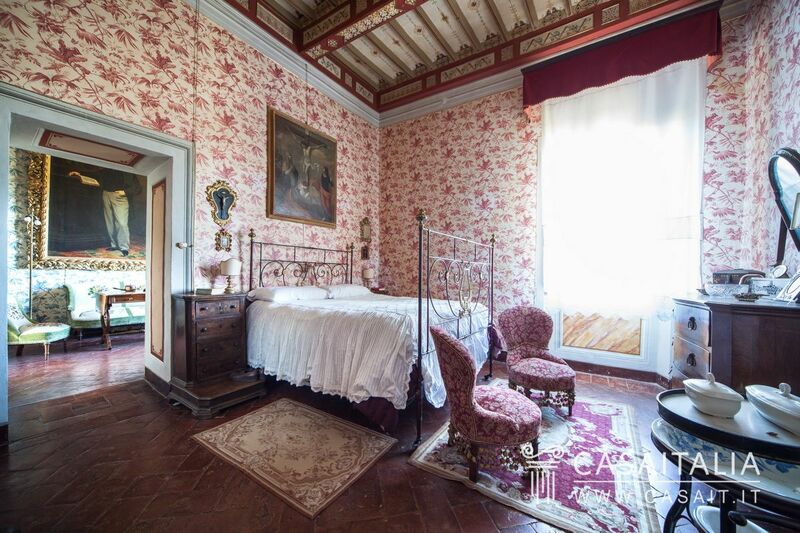 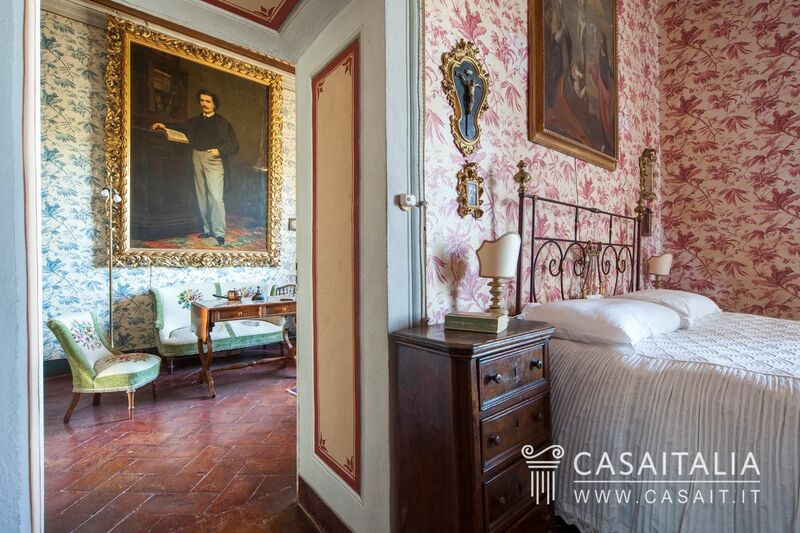 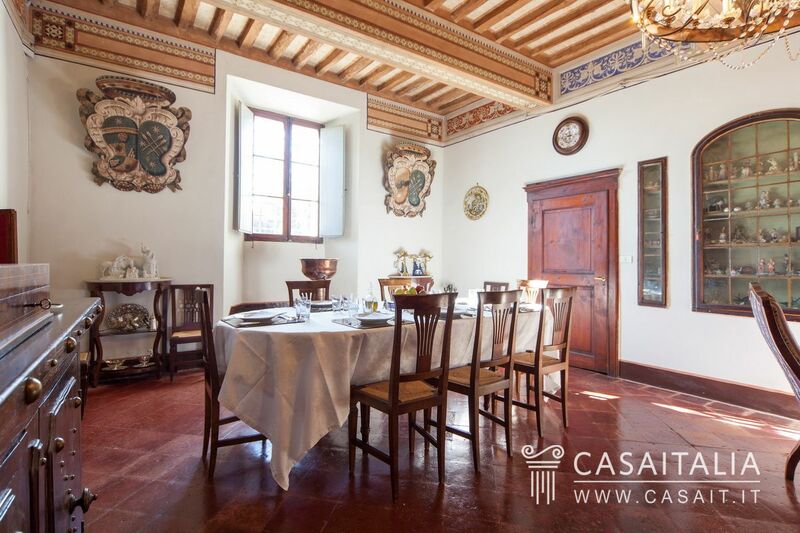 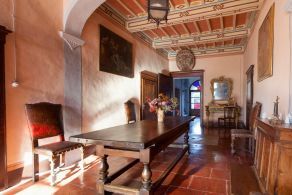 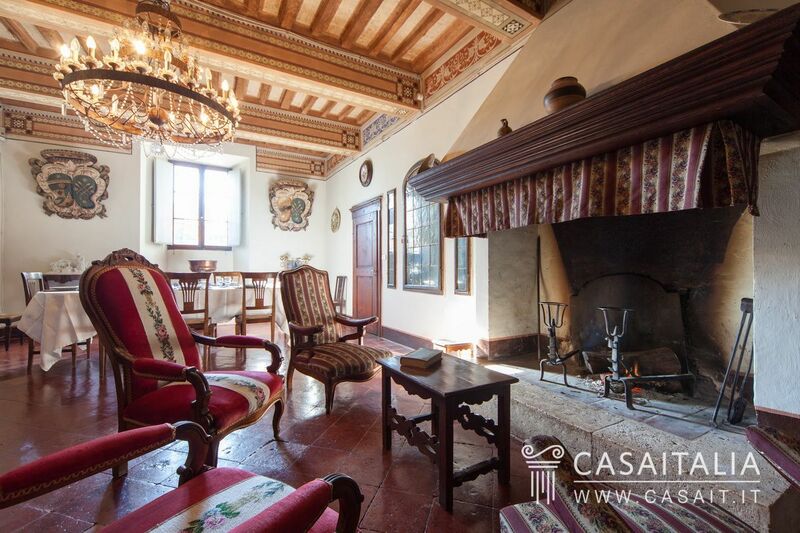 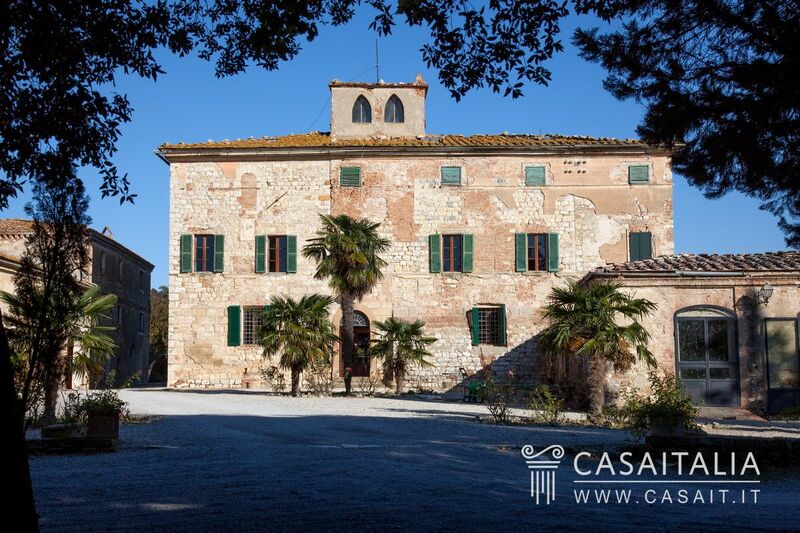 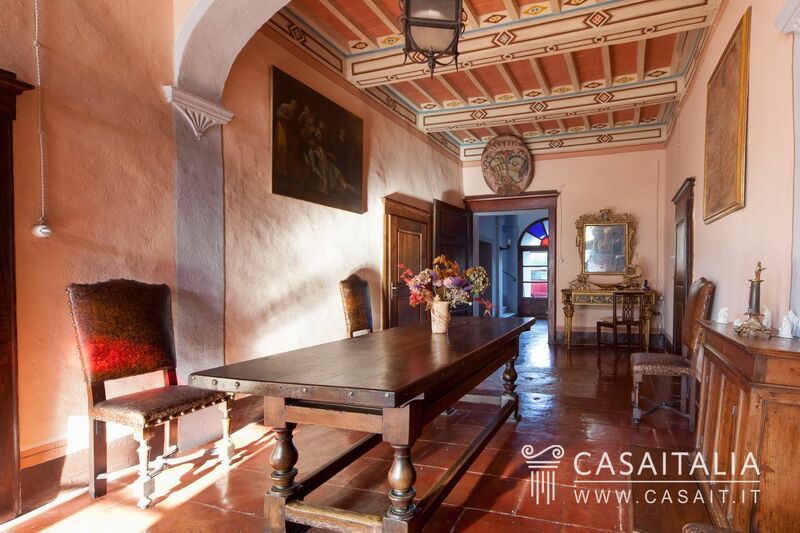 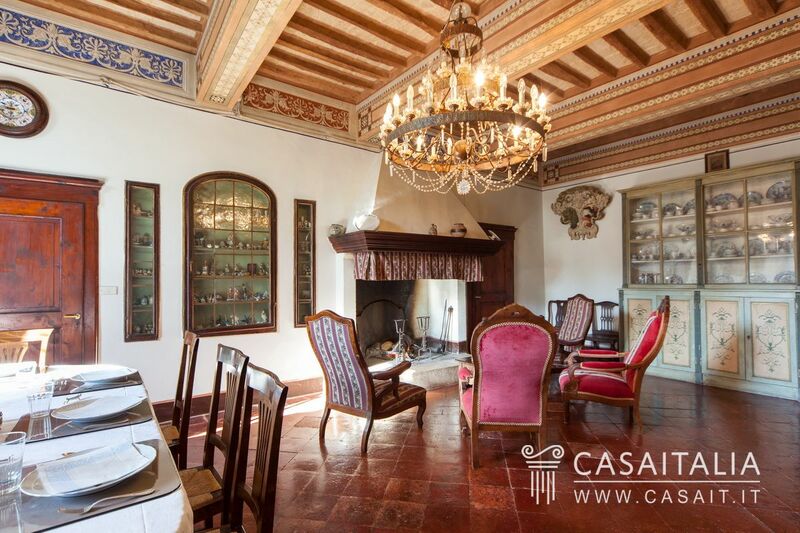 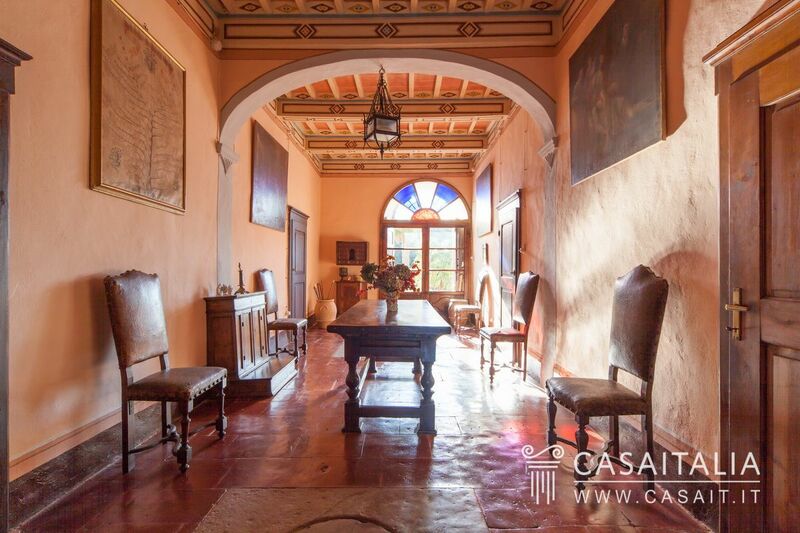 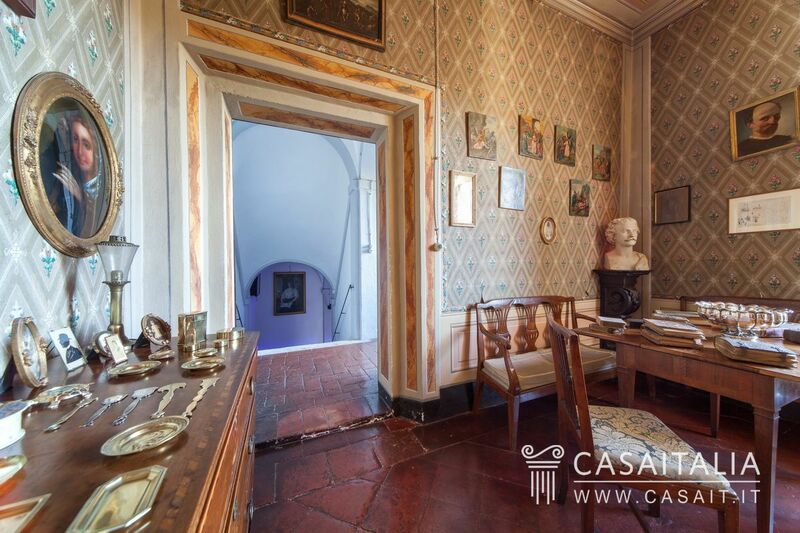 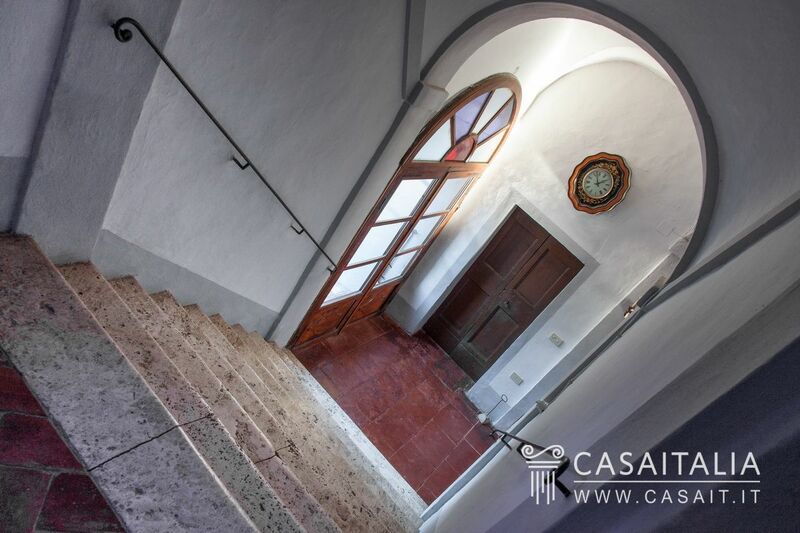 It comprises three floors plus an attic, for a total surface area of 1.095 sq.m and is currently being used as the owners residence, where they have lived since the 1500s. 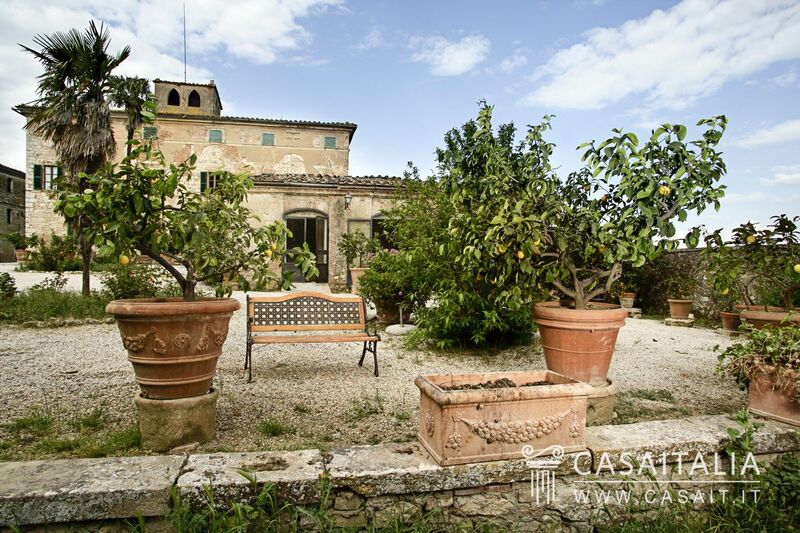 The former olive grove, conservatory and other areas used for storage are adjacent to the villa. 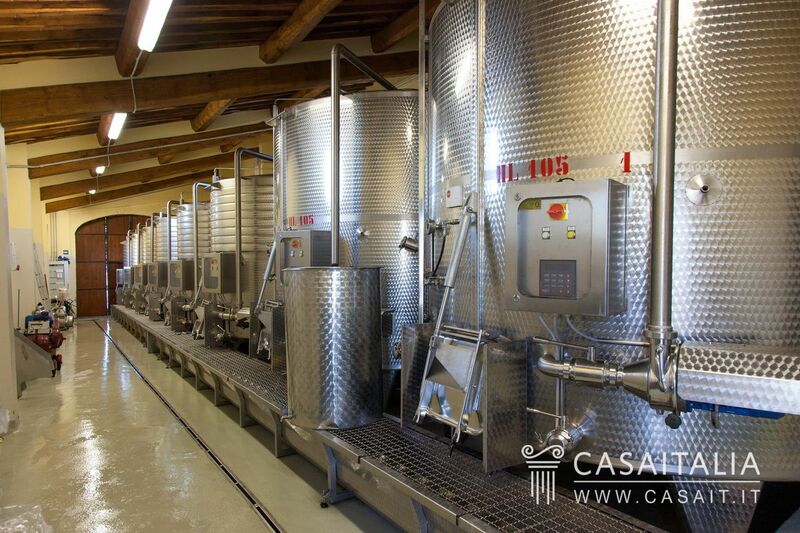 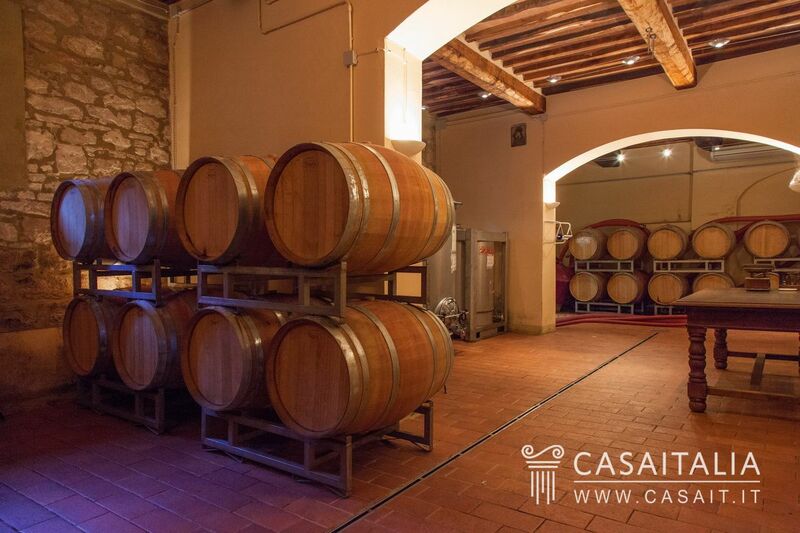 A building with 6 separate apartments, of which 4 are used for agritourism, a hospitality area with restaurant and professional kitchen, the cellar for winemaking and many areas for storage, stables, storing equipment, and silos. 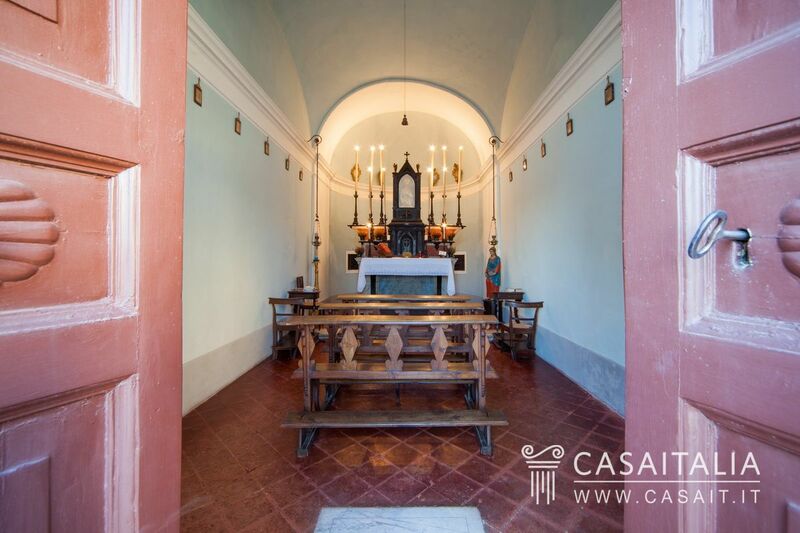 The chapel, which is still consecrated. The former parish church with rectory. 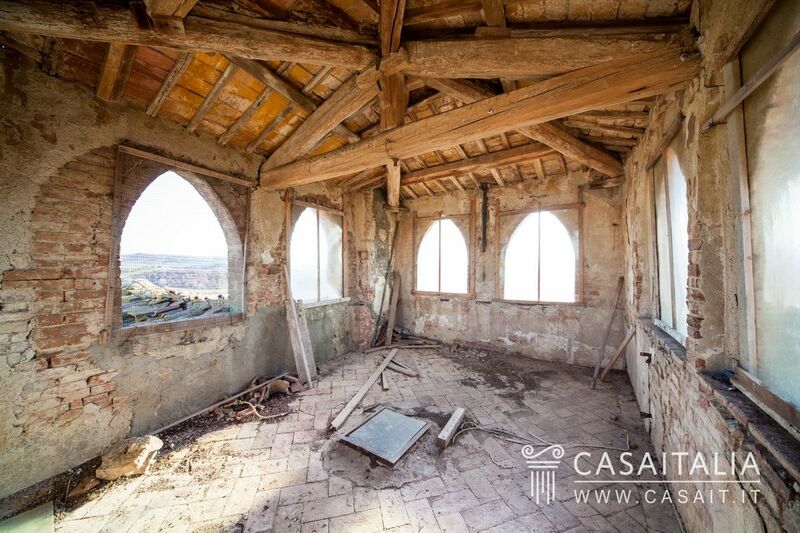 Various annexes in need of restoration, comprising the former pigsties, barns, sheep pens and storehouses. 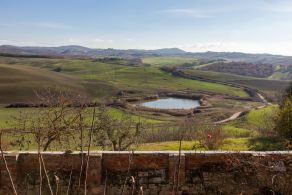 Surrounding land with grounds and pool. 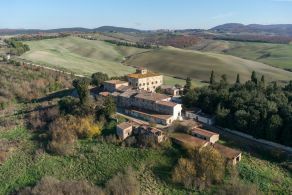 The farm, situated on the hill opposite the hamlet, comprises a collection of buildings in need of restoration, which were once used by the farm workers: the cheese factory, the butcher, the dining hall, an apartment for family members, the office and the cellar for maturing salami. 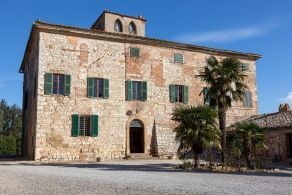 There are also other annexes with various uses (pigsties, barns, storerooms) and a sheep pen and a pigsty which were built in the 1980s. 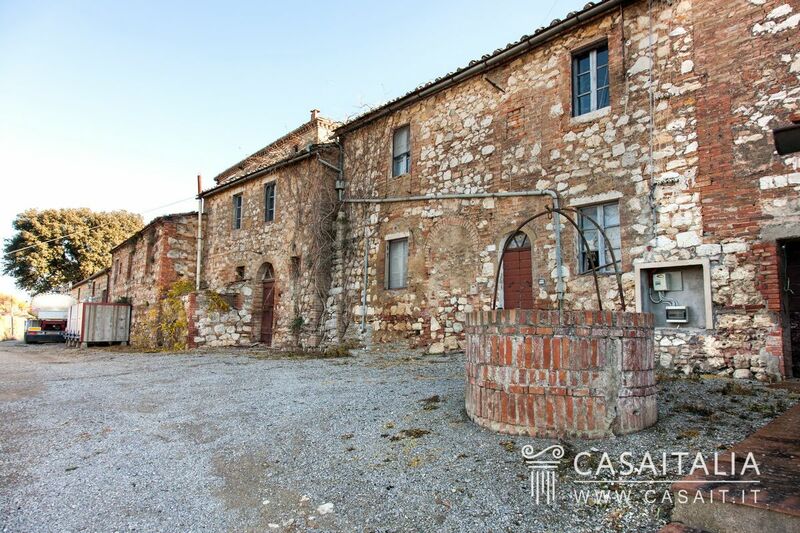 The old furnace, to be fully restored, with 7.5 ha of surrounding land 260.000 €. 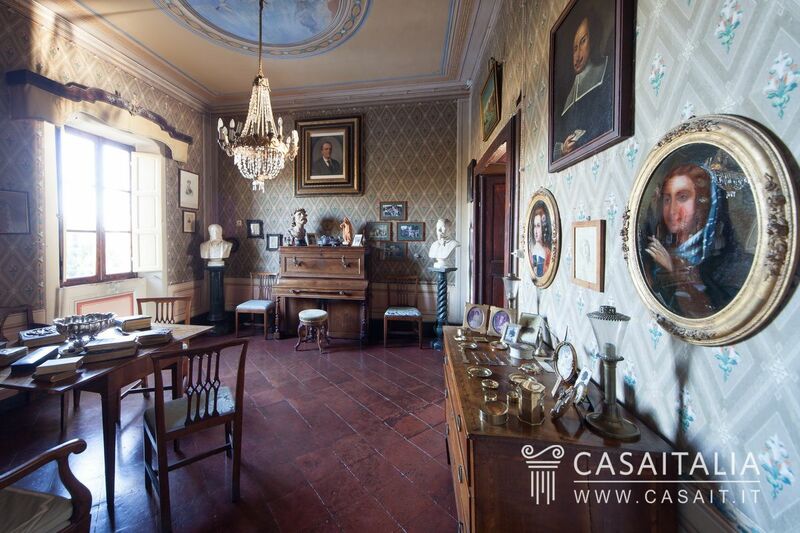 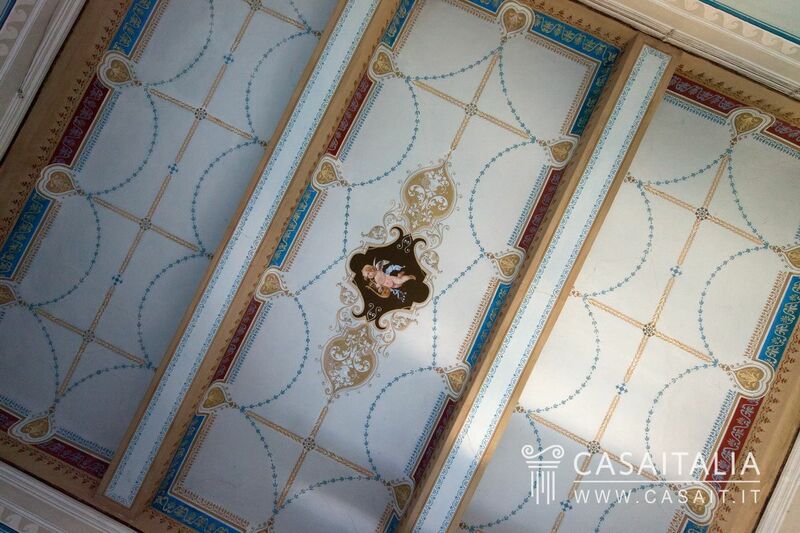 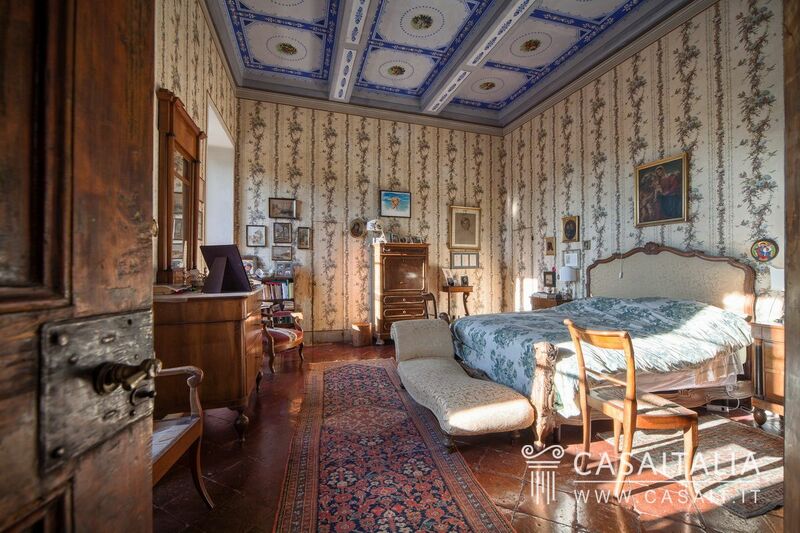 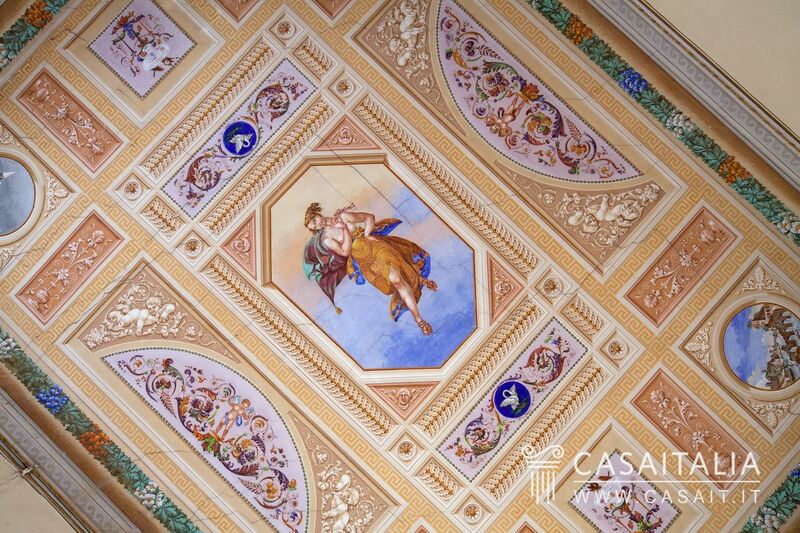 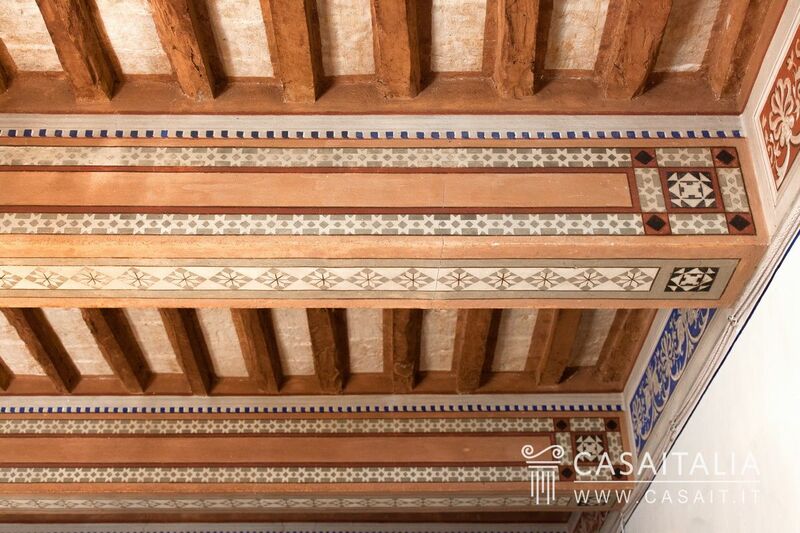 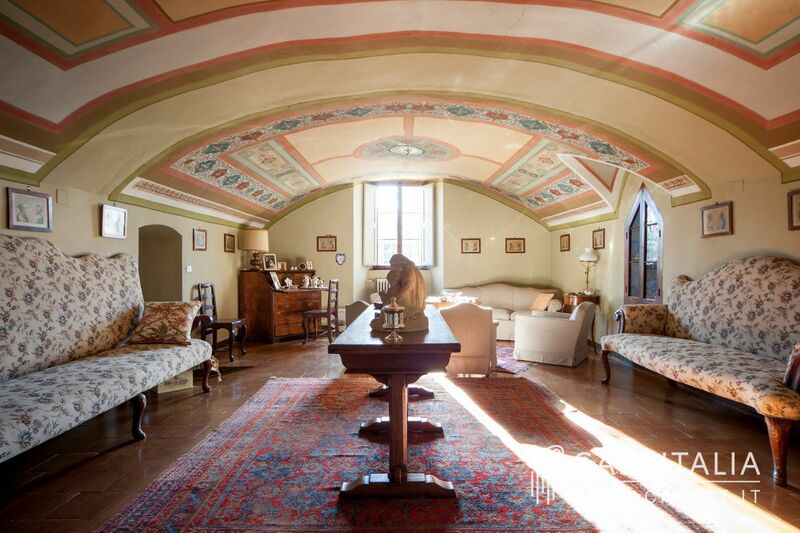 The main villa is in good condition in the living area, but requires restoration to the attic and roof. 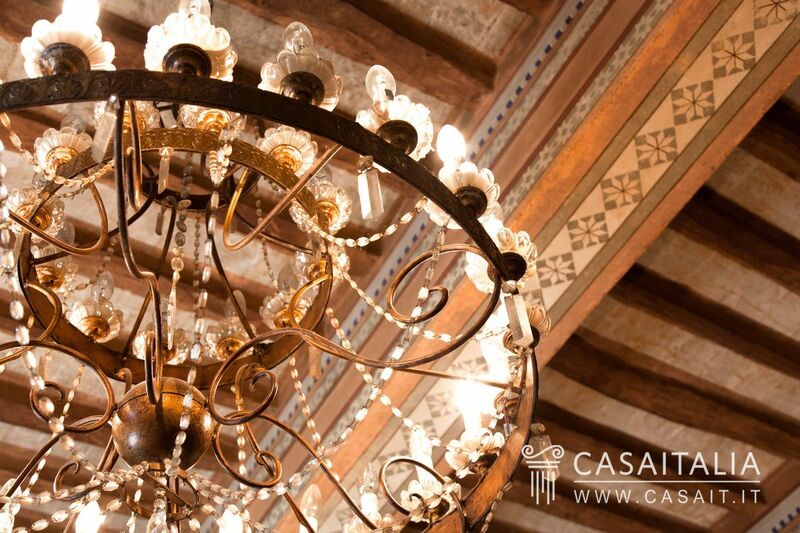 The original features and fittings create a charming interior. 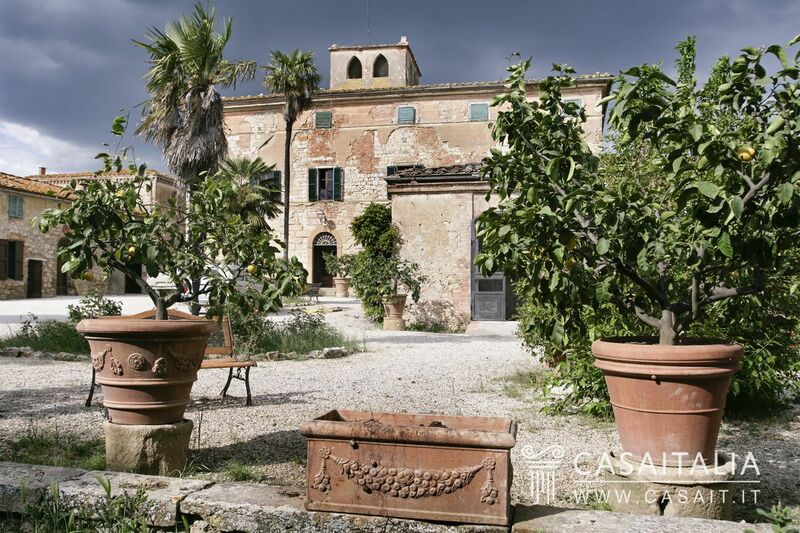 The buildings being used for agritourism are also in good condition, while the various annexes require restoration. 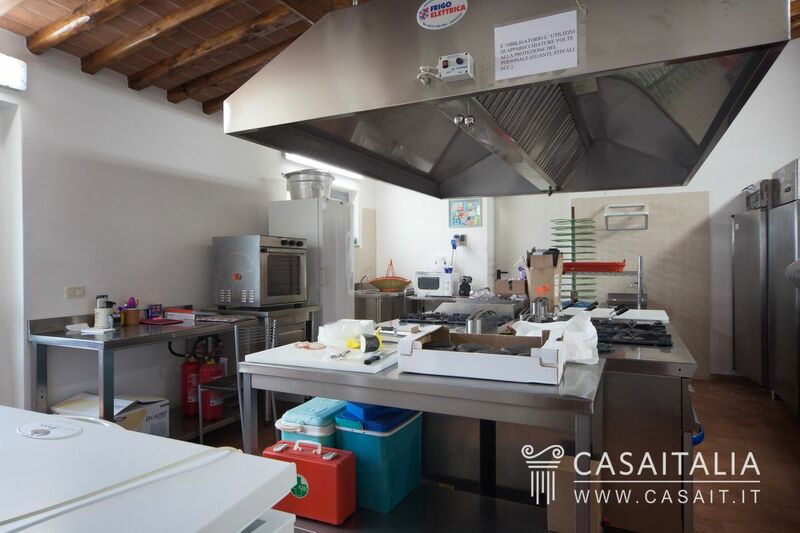 The old furnace needs to be completely rebuilt, with the possibility of using the space in a higher and better location. 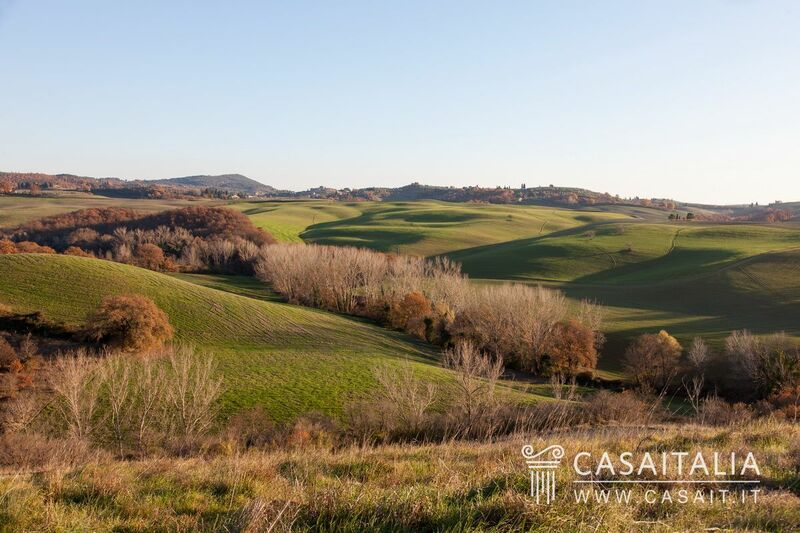 235 ha is fertile fields. 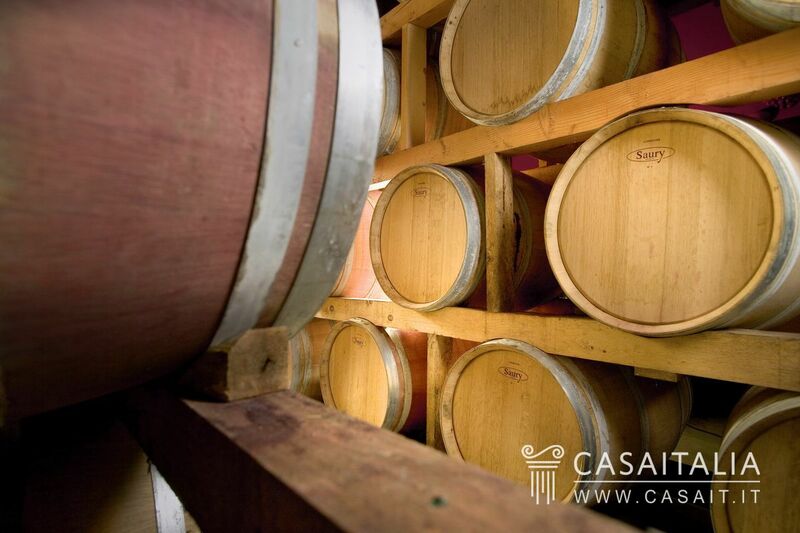 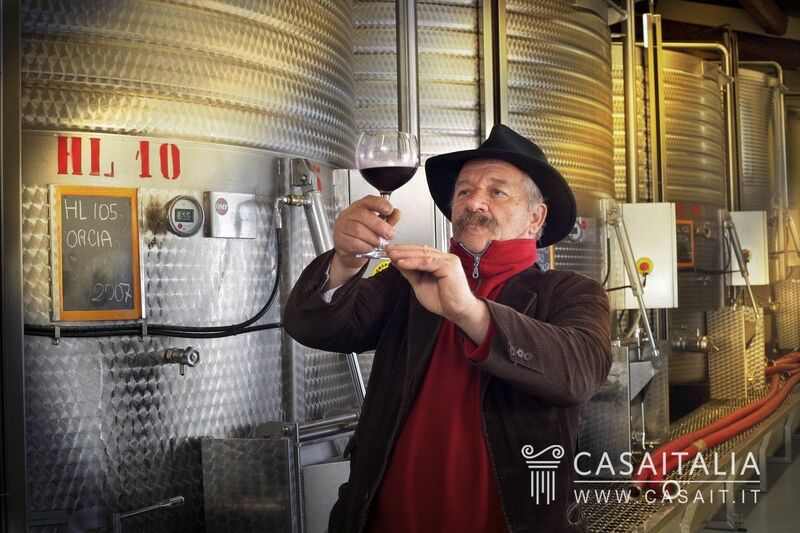 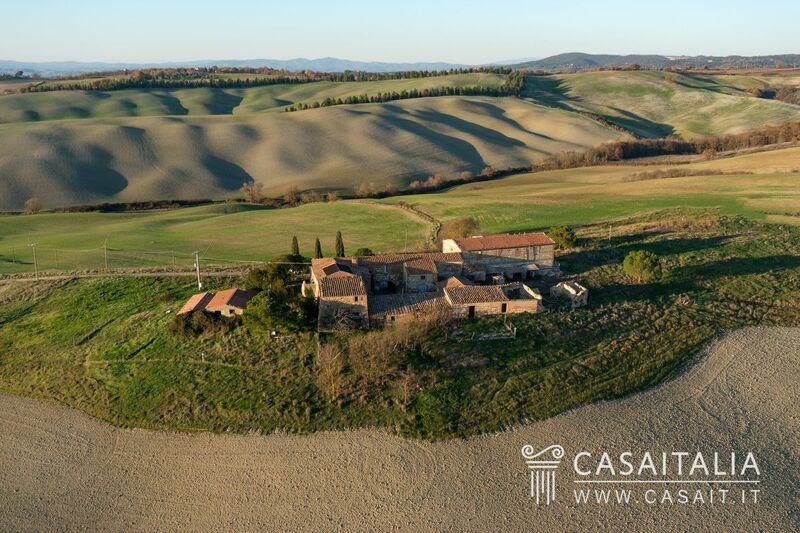 The Crete Senesi vineyard is ideal for those wishing to invest in a winemaking business located in one of the most well-known areas of Tuscany and who would like to develop the tourism potential of the property, creating a high-end tourism business. 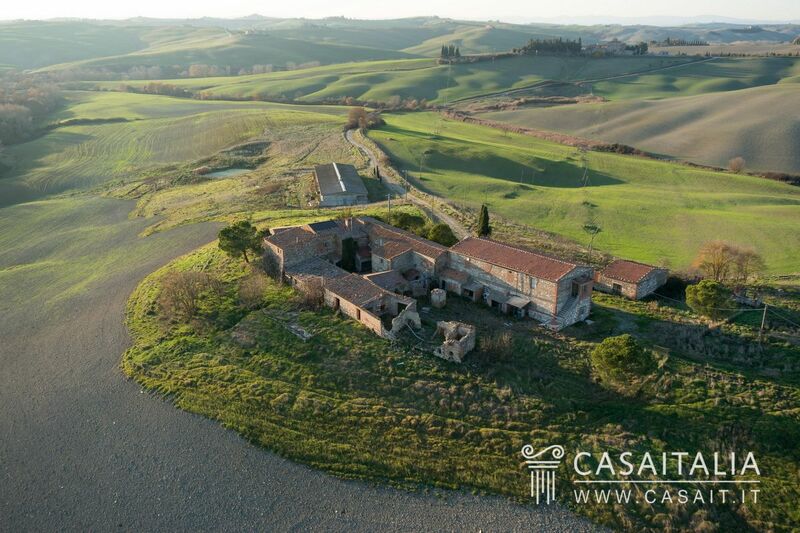 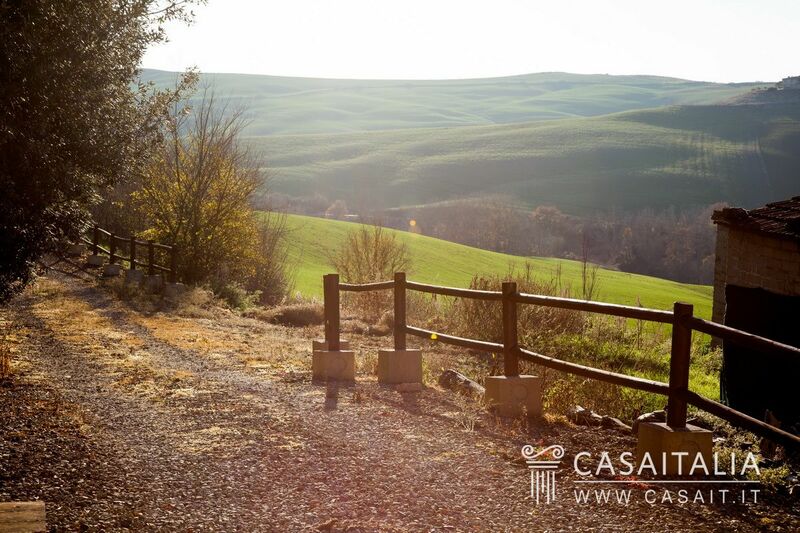 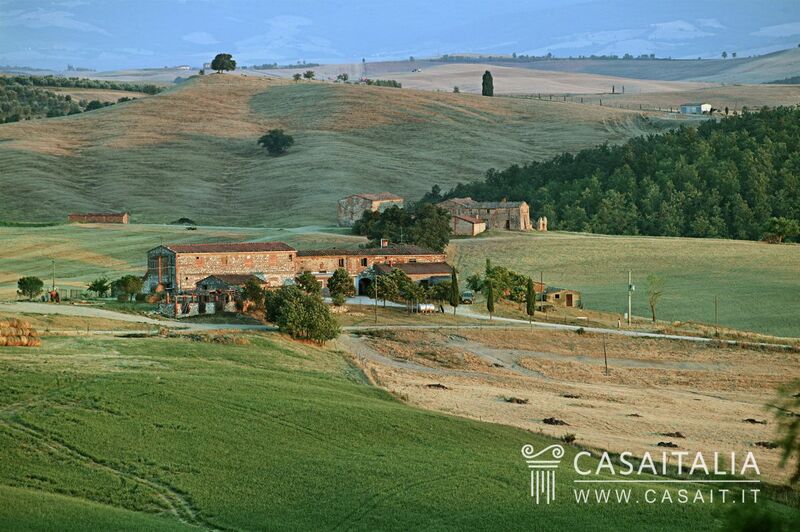 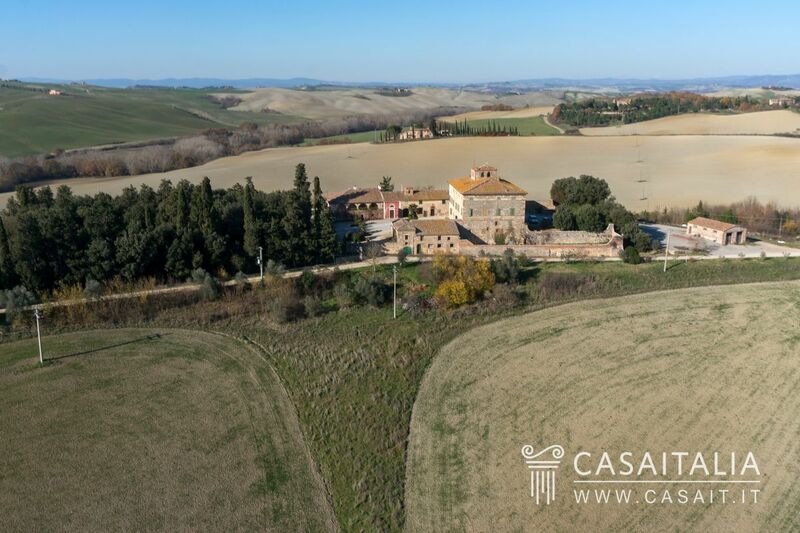 The opportunity to purchase the three blocks separately makes the individual properties of interest to those searching for an exclusive location in Tuscany in which to build a luxury residence, which can be designed and built to their own tastes, with spectacular views over the hills of the Crete Senesi and the Val d’Orcia.